Today’s a big day in the awamori world, as the Okinawa Awamori Distillers Association Youth Group begins a week of celebrating the best of awamori. Today is Ku-su Day, with September = ‘9’ which is pronounced ‘kyu’ or ‘ku’ in Japanese, and ‘4’ being pronounced ‘shi’, but sounds nearly ‘su’. So ‘9-4’ is ‘ku-su’ Day! That’s what they made it. Okinawa Awamori Distillers Association Youth Group is commemorating Ku-su Day for about a week starting today. 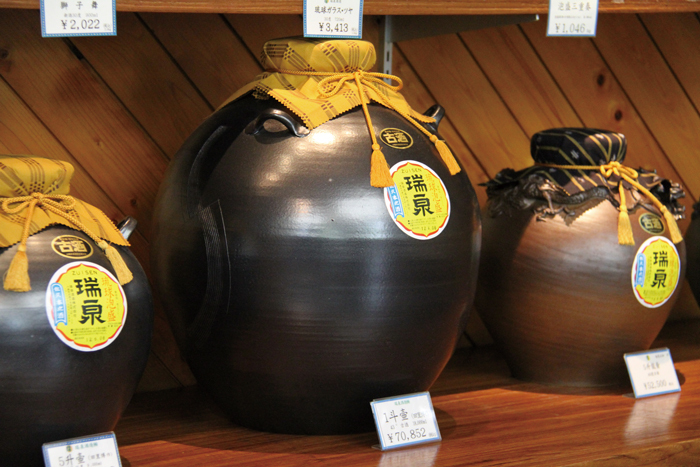 Being widely known for Awamori, ‘Ku-su ’ means matured Awamori. Ku-su is currently defined to be only alcohol that contains at least three-year-old or more Awamori in order to be called Ku-su. Generally, more older, more smooth and tasty, a committed person can track down Ku-su up to 40 years old Awamori at select places on the island, but older that 40’s, it is not easy to find, and very expensive even if you do find it. If the searcher is lucky to find it, he’s even luckier because the Ku-su is very very smooth and kind of sweet. kinawa’s finest Awamori, aged a minimum of three years to earn the title ‘Ku-su’.